Bayfront views in the Heart of Harvey Cedars. 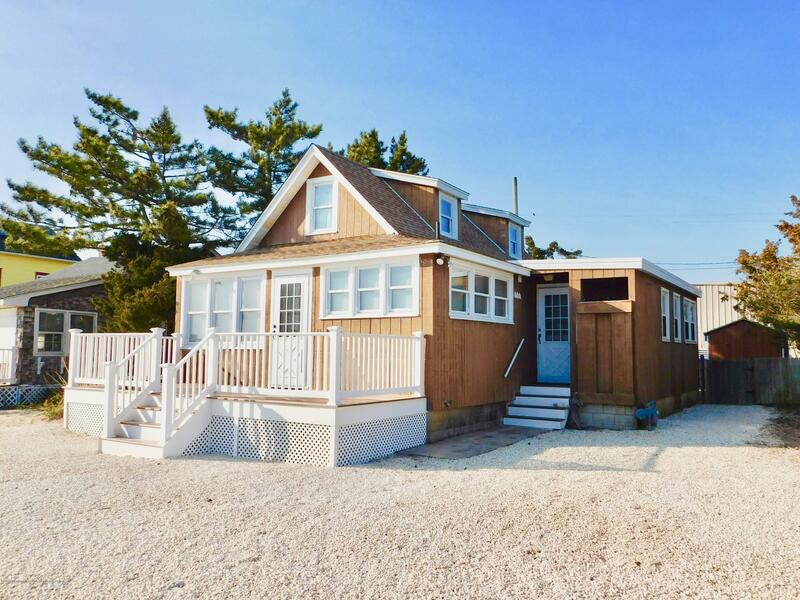 Well loved original shore cottage on a 50 x 100 foot lot with 13 feet of bulkhead and wide open bay views only steps to the businesses and activities of town or the beautiful white sand beaches. Raised above ground level a generation ago, this charming home has an L-shaped main room on the fist floor encompassing the kitchen, dining and living areas. The den, master bedroom, 2 half baths, a bathing room and an outside shower at the side door complete the main level. Upstairs you will find 3 sleeping spaces tucked into the eaves. Move right in, upgrade, renovate, add-on or build new and take full advantage of the water views and sunsets.